Tag Archive | "mortgage electronic registration inc."
Yup! You heard it right X’s 2…I feel it’s going to be one of the great defense attorney’s in Florida that will bring down the MILL’s who are destroying families. Mark my words watch for Jeff Barnes, Matt Weidner, Greg Clark, George Gingo and Ice Legal… Baby! Many other…Lets not forget the attorney who is diligently uncovering assignment fraud time after time Lynn Szymoniak ESQ. FDN has obtained another borrower victory in Florida by having a summary judgment of foreclosure vacated. The Judge in the Brevard County Circuit Court has entered an Order, on motion of the borrower which was prepared, filed, and argued in person by Jeff Barnes, Esq., vacating and setting aside a Final Summary Judgment of Foreclosure and enjoining any foreclosure sale. The Motion set forth that the Judgment was void as there was no proof of legal standing. The Complaint, filed by the Law Offices of David J. Stern, P.A., alleged that the Plaintiff was the holder and owner of the note and mortgage by an assignment “to be filed”. No such assignment was ever filed, and thus Plaintiff Deutsche Bank fraudulently represented to the Court that it had proper legal standing to foreclose when in reality it did not. The threshold hurdle of proof of legal standing to foreclose under Florida law was recently highlighted by the Florida Second District Court of Appeal in the BAC Funding decision which was recently discussed on this website. The same day that the hearing took place on the Brevard County Motion, FDN attorney Jeff Barnes, Esq. was presented with yet another case filed by the same attorney from the Stern law office for the same client (Deutsche Bank as “Trustee” of a securitized mortgage loan trust) with the same problem (no assignment or proof of VALID ownership of the Note and Mortgage) but filed in Manatee County, Florida with a summary judgment having been entered in favor of Deutsche Bank despite no assignment ever having been filed. A Motion has thus been filed to seek vacatur of the Stern Summary Judgment entered in this separate proceeding. 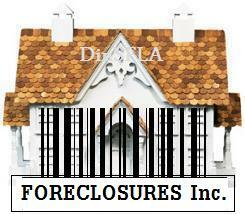 FDN litigates foreclosure cases throughout the State of Florida as well as in 27 other states, assisted by local counsel. The consistent pattern which is emerging, as to Deutsche Bank, is a misrepresentation of ownership of the Note and Mortgage (or “Deed of Trust” as it is called in non-judicial states other than Georgia, which terms the instrument a “Security Deed”); lack of valid ownership interest in these instruments and the rights attendant thereto; and a failure to produce competent evidence of any ownership (meaning that meritless MERS assignments are not “competent”). This pattern is present in numerous states with different law Firms. Deutsche Bank thus continues to be an entity whose representations must be carefully examined in any foreclosure attempt, because there is a high probability that one or more of its representations are false. Posted on 19 March 2010. Tags: assignment of mortgage, foreclosure mill, fraud, illegal foreclosure, LPS, MERS, mortgage electronic registration inc.
Judge Buford in Bankruptcy Court has no problem seeing the real issues. Here he is again stating that MERS has no standing and that MERS is confused as to whether it is acting in is own behalf or as agent for the note holder. He further makes it clear that the loan is not secured by the real property where MERS is the “nominee.” Since MERS admits, indeed advertises it will never make a claim to ownership of the note (otherwise nobody would use their service) there is absolutely no basis under law or equity in any court where it should be allowed to foreclose. But they have done exactly that. So now that we know all those foreclosures were done illegally not for some procedural reason, but because MERS is not a creditor, what does that do to the hundreds of thousands of foreclosure sales that took place using MERS as “nominee” as the base of the chain. The answer, as anyone with knowledge of property law will tell you, is that the foreclosure sale is void, not voidable. That in turn means that whoever owned it before the “sale” still owns it. Which of course means in most cases that there are hundreds of thousands of people who were homeowners that still own the property that was “foreclosed.” It also means, if the house is empty that they have the right to re-enter it. So you see, it is on this simple fact and basic black letter law that the entire foreclosure mess is proved to be an illusion. There is no mess. There is just a lot of paper that doesn’t mean anything. If a Judge signed an order setting the sale date (as opposed to lifting the stay) THEN it is highly probable that in order to regain possession of the house you would need to file a quiet title action and quite possibly an action for damages. on the merits. The court therefore discusses this issue here. intrastate business, such that these requirement does not apply. MERS primarily relies on Cal. Corp. Code § 191(d)(3). Cal. invest in loans secured by real and personal property[. ]” Cal. lend money, it appears that [i], [iii], and [v] do not apply. MERS does not claim to be an insurance company under [ii]. enumerated under the section, including subsection (c)(7). cannot be rejected at this stage in the litigation. nominee or beneficiary of any of the Defendants.” FAC ¶ 32. However, the terms explicitly permit MERS to act as nominee. Plaintiff has not alleged a violation of these terms. property without satisfying the requirements for doing so. A pattern with Wells Fargo that we have seen is that they make the representation that they are the holder of the note and the investor,which is a blatant lie in most cases. Then AFTER they get the order they want, they admit that through “inadvertence” they misrepresented the facts to the court. Then they say it is not a material misrepresentation and they produce some additional fabricated documents like a limited power of attorney which upon close reading grants nothing to anyone, is subject to many conditions that are not readily determinable and is signed by party of dubious authority and dated under questionable circumstances (if the document existed before why didn’t they use it?). Editor’s Note: I think the following addresses the MERS and nominee issue very well. The entire proceedings can be seen at delasallemtdargument. The very basic question that ought to be asked is why any of these intermediaries exist. When you think about it, there can only be one reason: to hide what they are really doing and to provide a mechanism to diminish the possibility of multiple claims from multiple participants in the securitization chain. Nobody needed MERS or any of these other foreclosure entities when the identity of the creditor/lender was clear. Now they don’t want it clear. The success of foreclosure in both non-judicial and judicial states depends entirely on creating the appearance of propriety through a maze of unnecessary entities whose sole purpose is to provide plausible deniability to the pretender lenders if and when it comes to light that the wrong party is attempting to foreclose and they are doing it contrary tot he interests of the real creditors (investors) and contrary to the interests of the homeowners who are now subject to financial double or multiple jeopardy. A pattern with Wells Fargo that we have seen is that they make the representation that they are the holder of the note and the investor,which is a blatant lie in most cases. Then AFTER they get the order they want, they admit that through “inadvertence” they misrepresented the facts to the court. Then they say it is not a material misrepresentation and they produce some additional fabricated documents like a limited power of attorney which upon close reading grants nothing to anyone, is subject to many conditions that are not readily determinable and is signed by party of dubious authority and dated under questionable circumstances (if the document existed before why didn’t they use it?). MERS, Your Honor, has corrupted this basic black letter law of mortgages that makes a split of the security instrument from the note impermissible. First, it names itself as the beneficiary of the deed of trust, thus splitting the deed of trust from the note, and then it attempts to rectify the split by stating that it is acting in some form of restricted agency relationship solely as the nominee for the lender. In doing this, MERS attempts to do two things that are inconsistent at the same time, and it is this ambiguous contradictory language that fails the title. Why? First, because as the beneficiary of the deed of trust, MERS has suffered no default. Only the current holder of the note has suffered a default, and only the current holder can enforce the note. And secondly, even if it could be argued that MERS is the agent for the original lender, America’s Wholesale Lender — and Your Honor, it is important to note that within the four corner of the document, within the four corners of the deed of trust, there is nothing that establishes that agency relationship. But again, even if you argue that it exists, there’s nothing that establishes an agency relationship between MERS and the alleged current owner of the note according to the bank servicer, Bank of America; U.S. Bank as trustee for the structured adjustable rate mortgage, 19 excess 2005. They are apparently, allegedly, they are the current holder of the note. Yet, MERS takes the position that through the deed of trust all of these agency relationships are implied, and that it can go forward based upon these implications and foreclose even though the four corners of that document, of the deed of trust, carries only one signature, mine, not the signatures of MERS, nor its principals. They seem to contend that with this implied agency agreement that is in violation of the statute of fraud that the U.S. Supreme Court ruling of Carpenter v. Longan prohibitingthe splitting of a mortgage from the note can somehow be ignored. Your Honor, it cannot. It cannot be ignored without the U.S. Supreme Court going back and reversing Carpenter v. Longan. Abandoned foreclosures a mounting crisis in Manatee County (with video)…SO KEEP US IN THESE HOMES!!! Another “BOGUS” scenario of todays reality. Watch this video and listen with disgust how they describe how one tries… yes tries to survive in todays world! Heartless souls you are to make this ridiculous video. They speak of people living in tents, make use of abandoned homes etc…Obviously Senator Mike Bennett needs to stop by this blog to witness what really is happening to the “proud happy family” who once did live there to begin with! QUIT TREATING US LIKE GARBAGE! How about making good use of these homes and put homeless people in there! It’s obvious the mighty $$$$ are behind this scam, They fraudulantly sell these homes for half after they foreclose…So why not just cut the priciple in HALF??? Yup Something sure is not RIGHT. By ROBERT NAPPER – rnapper@bradenton.com Buzz up! MANATEE — A mounting crisis created by the record number of foreclosures in Manatee County has hit Jeannette Traylor right where she lives: An abandoned foreclosed home has brought blight, crime and fear into her neighborhood. For Traylor, it is becoming harder and harder each day to remember what the home used to be: a quaint three-bedroom, two-bath house nestled in a Northwest Bradenton neighborhood filled with similar homes and families living the quiet life. But the home at 5504 Fourth Ave. NW now stands out. Lynn I am working on your YELLOW LAMBORGHINI… Question: What entity should I assign title to? If it is “TOTALLED” who should I vest title to after I SWAP out the VIN # onto another Car to? We can do this as many times as you like for a fee. She is not a Paid Employee for MERS, Does not answer to ANY President, Any Supervisors…Heck she doesn’t even know where any offices are for MERS!!! BUT SHE DOES KNOW SHE IS AN ASSISTANT SECRETARY FOR MERS.